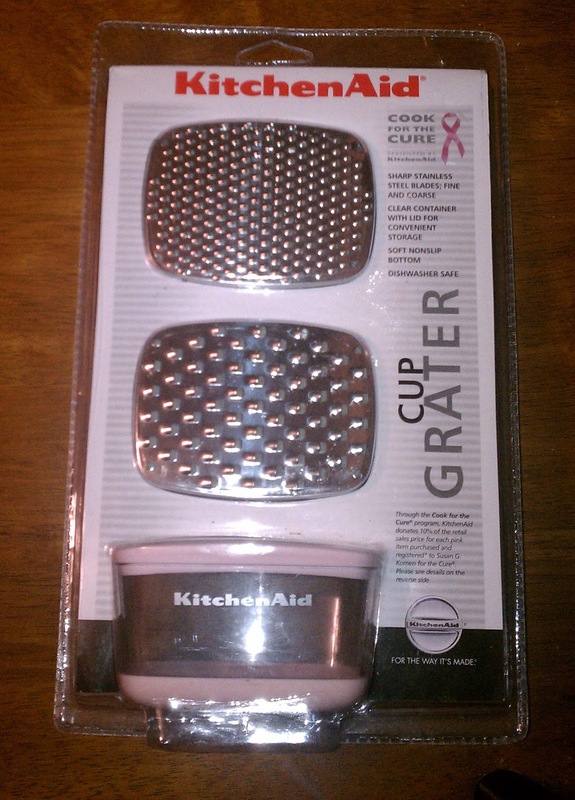 We all know that October is Breast Cancer Awareness Month. I love being able to support a good cause, and this year is no different - scroll down and see what cute stuff I'm giving away. On a personal level - Breast Cancer Awareness Month means a lot to me. Three years ago, just as October was starting, my mom was diagnosed with breast cancer. The irony of her being diagnosed with stage 2, grade 3 cancer during "awareness" month certainly wasn't lost on me. I stood by my mom as she soldiered through three lumpectomies...and ultimately a mastectomy. Following that was radiation and chemotherapy, in a dose so strong that it put her in the hospital for a week with a pulmonary embolism. She never once complained! I'm so happy that she's come out the other side with a clean bill of health! My request to you - PLEASE, PLEASE, PLEASE get your yearly mammogram and do your monthly self-check. Especially if you're high risk. I want you all around for a long, long, time. 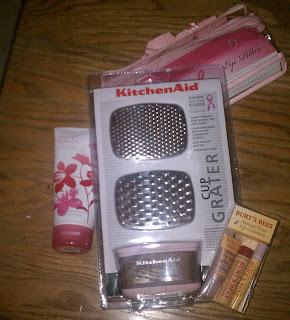 This year's giveaway: A KitchenAid grater, aroma therapy eye mask, Bath & BodyWorks lotion and Burt's Bee's lip balm. It's always so inspiring to hear stories about women who have beat cancer! And yes, I do celebrate and support Breast Cancer Awareness all year! I haven't in the past at least not outwardly. I really should though. It's not that I don't intend to. It's just that I've never really been the wear-the-ribbon-kinda-girl. Thank you for inspiring me to be more that kind of lady. My husband's aunt beat breast cancer. It is a huge victory as his grandma (her mom) died from it. Yes! For the 2nd yr in a row I've organized a hair cutting event at work. People donate their hair to Pink Heart Funds! It is a lot of fun. I donated mine last year. Oh, friend, you know I love this month and spreading awareness. I've been busier than usual this month, but I hope it's making a difference for someone! Thanks for supporting it as well!